There are over 300,000 Amish people living all across North America alone, but that isn’t to say we know everything about this diverse and complex community. In fact, there are several facts about the Amish you need to know that might just give you a whole new perspective on their way of life. 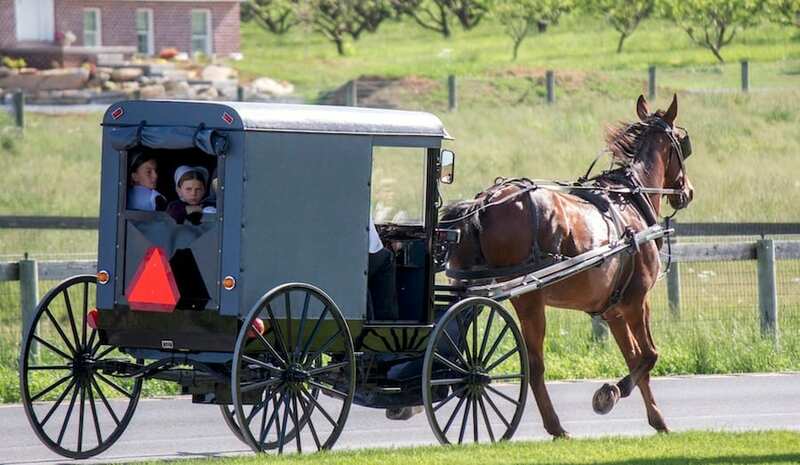 It might be easy to conjure up images of the Amish from the photos and videos we have seen over the years, but can there really be any truth in these after delving into a community that does anything in its power to stay away from technology? 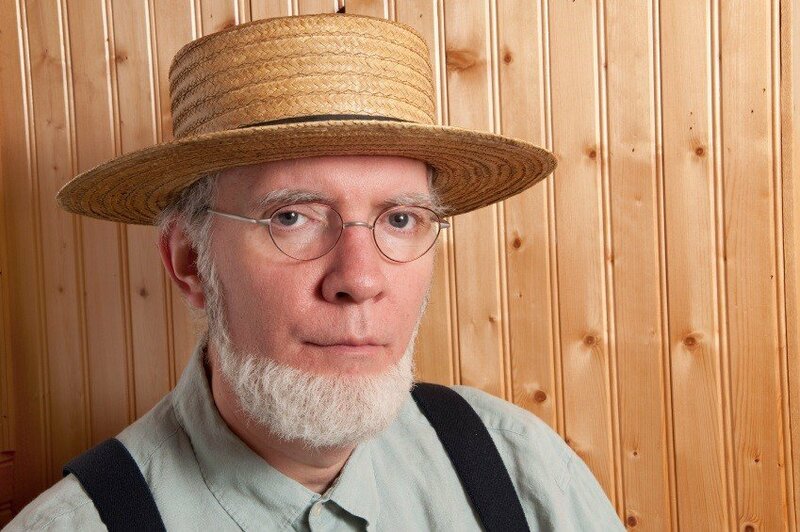 There’s a consistent fashion among Amish men – beards without mustaches. The reasoning behind this is that they are opposed to mustaches altogether, believing them to be a status for material wealth and a link to the military; both of which they don’t believe in. 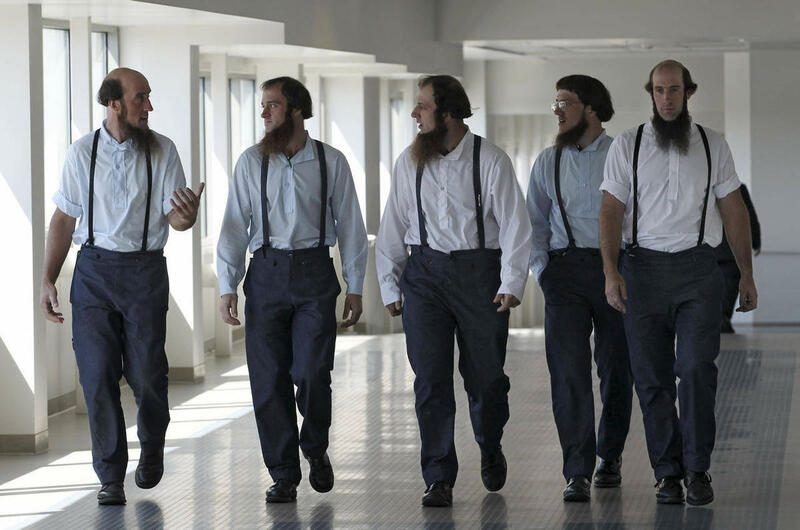 We aren’t sure how they linked everything up, but the way Amish men wear their hair, both head and facial, has become a very distinct feature, becoming their recognizing feature in comparison to secular men. Once an Amish child comes of age, they must declare their faith as part of a baptism rite. It is expected of each youth to make this declaration, although they say that the young are independent, they expect nothing less than this ritual to occur; curious, very curious. The Amish community is known for being very strict and for kicking the non-conforming individuals out of their community in a form of excommunication. We find that a little harsh, but as evident with the Amish, they don’t do anything half-heartedly. The Amish are a religious sect but the book they follow is not the Bible. It is called The Good Book, or Ordnung. Basically, it is a guide to living like a true Amish community member. Those who break the rules within the Ordnung expect serious consequences. The basic teachings are familiar with the lines of the Bible, but much more simple, as is their lives. They follow then ten commandments and adhere to a biblical way of life, literally. The Amish call anyone outside of their community, “English”. The Amish believe that they, as a people, are derived from German puritan Christians and therefore call everyone else “English” as a reference to an outsider. They do not let non-Amish people into their community as a rule, you cannot become Amish, you have to be born into it. On the other hand, you can go from being Amish to being non-Amish, depending on your personal choices. 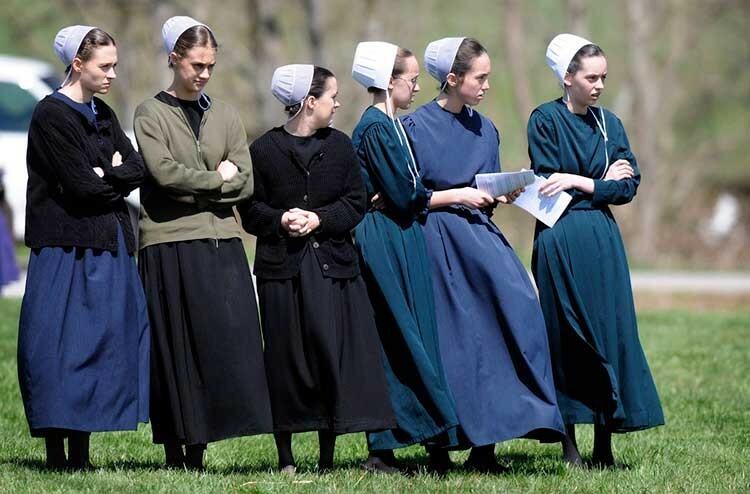 The Amish may be very strict about their rules, but they also have an understanding of what being a teenager is like. As such, they aren’t too hard of teenagers when they go through their expected teenage angst phase. That, of course, also depends on what the teenager does in his ’emotional state’. The ten commandments are still law and are not to be broken, or else face extreme consequences, such as excommunication. Rhumschpringa basically means, to run around. 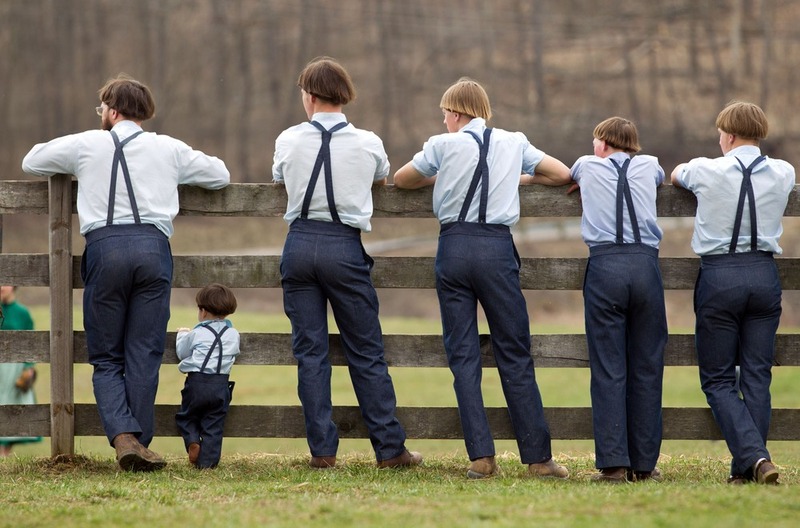 When an Amish youth turns 18, they are allowed to leave the community for a certain amount of time to see the life outside, it can be as little as a few days, and as long as a couple of years – depending on the person. The reason behind this is so the youth willingly chooses to come back to the community after seeing what the outside world has to offer. Most times the youths do indeed return to their community. The time away from the community is not measured, and there are those who barely do anything with their time away, for fear of the unknown. There are youths that would be gone for a week and those who would travel for years before returning to their community. However, imagine growing up knowing only one way of life, an old-fashioned lets call it, way of life, and then being thrown into a modern world without any warning of what is to come. It’s no suprise many of them return to their communities. According to statistics, the number of youths that end up returning to the Amish community is extremely high. The reason behind this is unknown but we guess it has to do with their very upbringing and link to family. And as we imagine, going from one end of the modern spectrum, to the total other, can’t be easy for anyone to take. It’s a confusing world out there for those who are not familiar with that way of life. 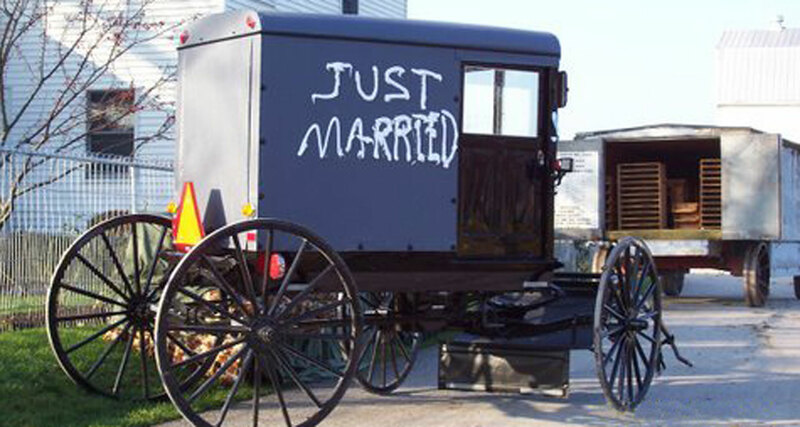 Unlike what us outsiders think, the Amish don’t have arranged marriages, but their marriage decisions are also very different than ours. Their dating process is much more tame than ours, like being courted by way of horse drawn carriage rides and flower picking. Perhaps they are doing something right that we are missing, going back to simpler days, without the complications and the over thinking of relationships and having the modern world come into a person’s decision of who to be with. So you would think that a super conservative Christian sect does not approve of spending the night together before marriage, right? Wrong. They are all for it, except that the two have to be fully clothed and only use the night together to talk for hours. What we would do over the phone or by text these days, they do face to face with one another, instead of sleeping. We find this to be super adorable and probably a better way to go about things than we do now. 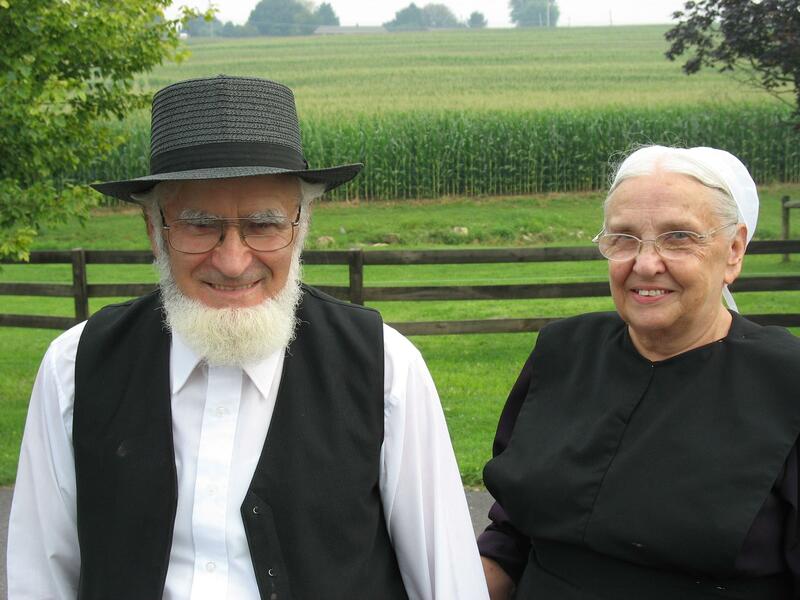 Here’s another major difference between Amish dating and secular dating – the time between dating and marriage is very short for the Amish. They only court for several weeks before they marry. They have a limited time to decide if this person is the one for them, advise their respective parents and begin the marriage negotiations. It all seems a little cut and dry, but you’ll find their divorce rate is 0%. Talk about a shotgun wedding! … To their parents home for their honeymoon. Usually a newlywed couple would fly out to vacation in a place far from their normal sorroundings. Amish newlyweds spend their wedding night in their parents home. Interesting to wonder where the parents go for the night. And why this is the accepted custom. There are those that guess that this is a symbolic custom, to show the newlywed couple that they see their marriage is as valid as their very own. Being a part of the Amish community means you’re probably fit as can be. The Amish grow their own food and refrain from drinking and smoking, making them a very low cancer risk community. They take the concept of farm to table to the most literal form of the term. They milk their own cows, grow and butcher their own meat, grow and reap their own corn, barley and wheat; as well as cook and bake every last piece of food on their plate. The Amish speak English, German, and another form of German called Pennsylvania Dutch. They speak German amongst themselves and English with outsiders when they have to. We wonder how close both types of German are to one another, they must be a difference big enough for the community members to learn both and distinguish between the two. It is modern of them to learn English considering their thoughts about the outside world, but they do have to have some form of common language for survival purposes. 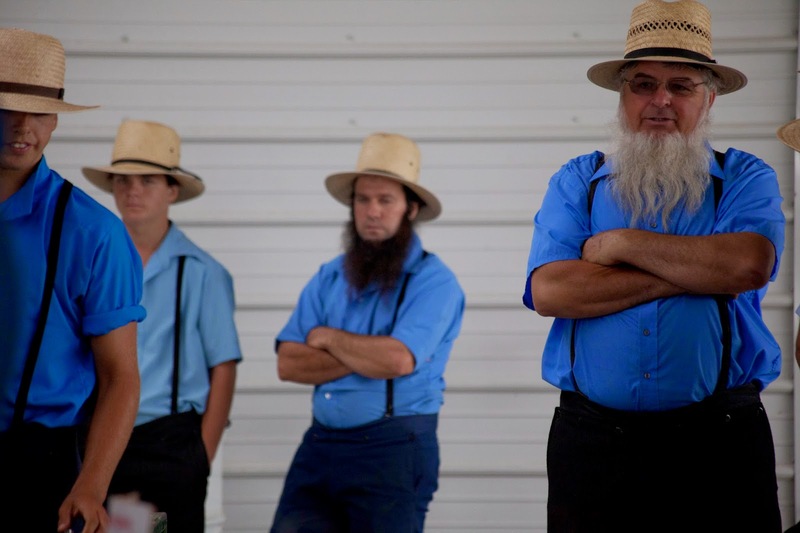 The Amish get confused with another conservative religious community, called the Mennonites. The major difference between the two is that the Mennonites use modern technology while the Amish refrain entirely. Try not to confuse between the two, they don’t like it. 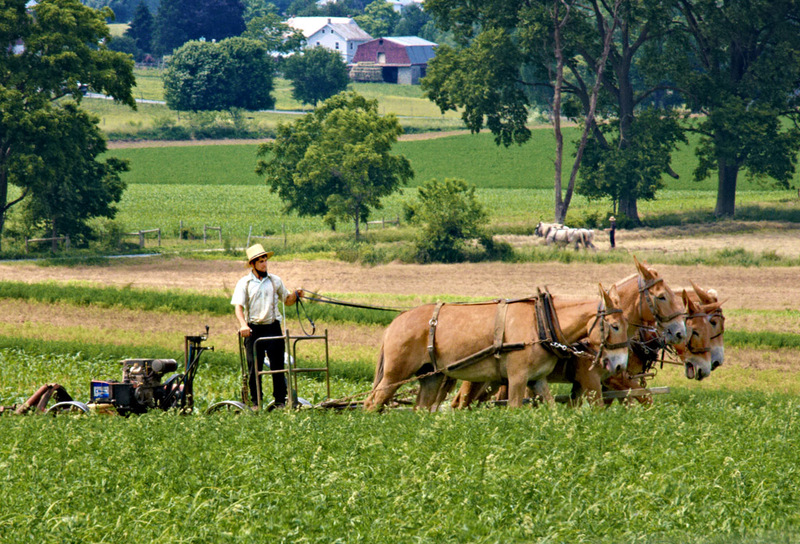 The Amish do not have any kind of modern device, not electricity, machinery, running water, or communication devices. They live entirely off the land, meaning fire, wood, hand done works, and their own communication techniques. In a community as sincere and religious as this one, the notion of transgressions is appalling. So much so that if one does transgress, they receive a Meidung order which means they either apologize with their entire being, as sincere as possible, or be banished from the community until death. Now in the outside world you would doubt the sincerity of an apology, it would take a lot more than that, but within the Amish community, they are raised to a biblically high standard of morality, making an apology as the same as a decree. Spotting an Amish individual out of a crowd is very easy these days. Their 19th century clothes are very simple and are nothing like the modern fashion of today. The girl’s head coverings and aprons don’t help either. The guys can be mistaken for stylish with their suspenders and button down shirts, seeing as that fashion has come back today, but the hair cuts and beards give them away instantly. With a community as small as the Amish, cases of inter-family marriages and children are happening more and more. While the community is trying to make sure it doesn’t happen as much, they are more concerned with abiding by ‘God’s Law’ regarding procreation. The medical consequences of this are shown in the children of these unions more than anything, and they go back generations so in order to preserve their community, they also need to make sure the lines aren’t getting too crossed. 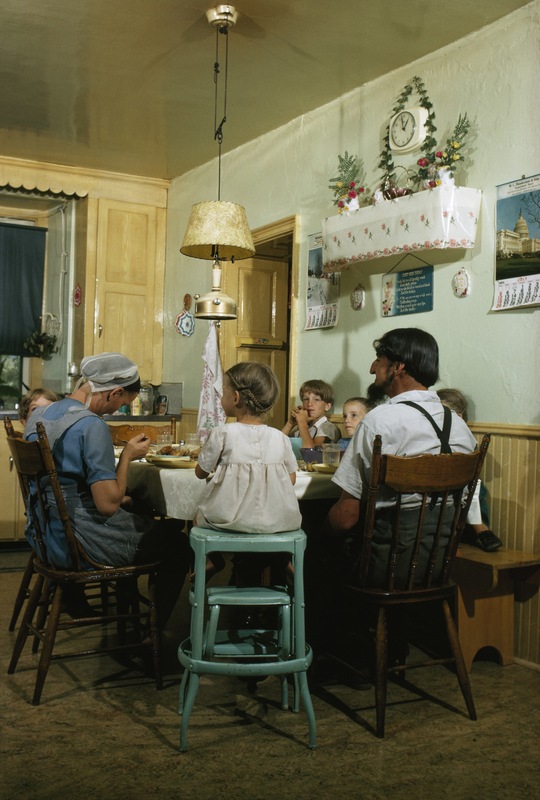 Communal meals are a daily occurrence in the Amish community, and one that cannot be missed unless ill. Their dinner time is considered a time to relax and enjoy one another’s company after a long, hard day out on the fields. They all sit together beside a long table, of their own making of course, and do what we today call a ‘potluck’, everyone brings something to the table in contribution. After the eighth grade, boys and girls stop going to school and begin their roles in Amish society, by that age they are considered adults. The men are to work in the labor department of the community, fields, iron working, cattle rearing, and the like, while the women are to take care of children and their homes, by way of cleaning, cooking and baking, and making sure everything runs smoothly. The notion of modesty flows so deep with the Amish community that even their churches are little more than four walls. Unlike other sects in Christianity that follow gold and jewel encrusted churches. The Amish are puritans in their beliefs. They believe that God would not care very much for the extra accessories that other churches adorn their walls with, making their own simple church the one that is held up by devotion, and nothing more. It’s all about faith. The Amish take the notion of humility to the point of the divine. They worship on Sunday’s at one another’s homes. They consider good deeds as a pathway to heaven, not relying only on the power of prayer. They practice what their God preached. For the Amish, words are not enough, their way of life is about candor, kindness, humility and modesty. They consider those to be the pillars of their faith. Prior to their arrival in the United States, the Amish spent their lives all around Europe, where they were subjected to persecution for renouncing modern technology and therefore human progress. Once they arrived in America they got the reprieve they were hoping for. Since the United States was new in comparison to European nations, there was the physical room for the Amish to settle where they wanted to, and not be bothered by others. Currently, the Amish communities are considered different jurisdiction and run on a different set of laws than the sorrounding modern towns. The Amish, unlike other Christian channels, don’t judge outsiders for their different religion or lack thereof. For the Amish, arrogance in thinking they know best is a horrible sin to have, therefore they don’t judge. 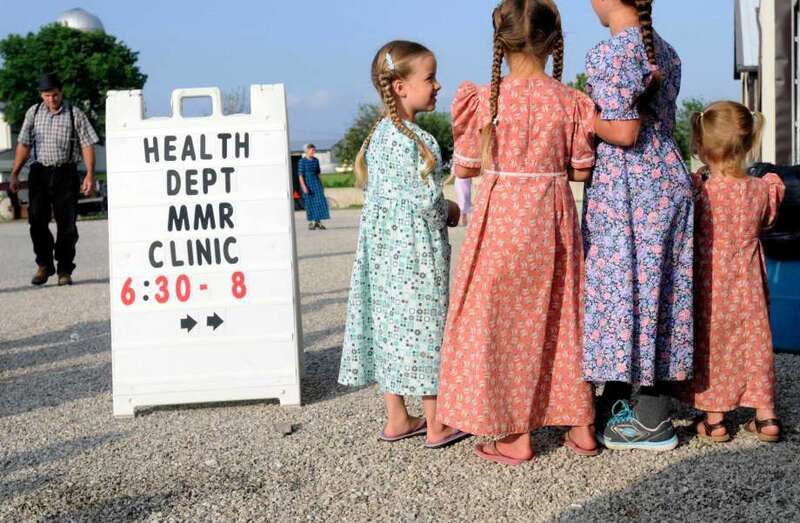 Although they are harsh with outsiders coming into their communities, they allow reporters and media to view their grounds from the outskirts of their territory, showing, like this article, a glimpse into Amish life. What a refreshing change. 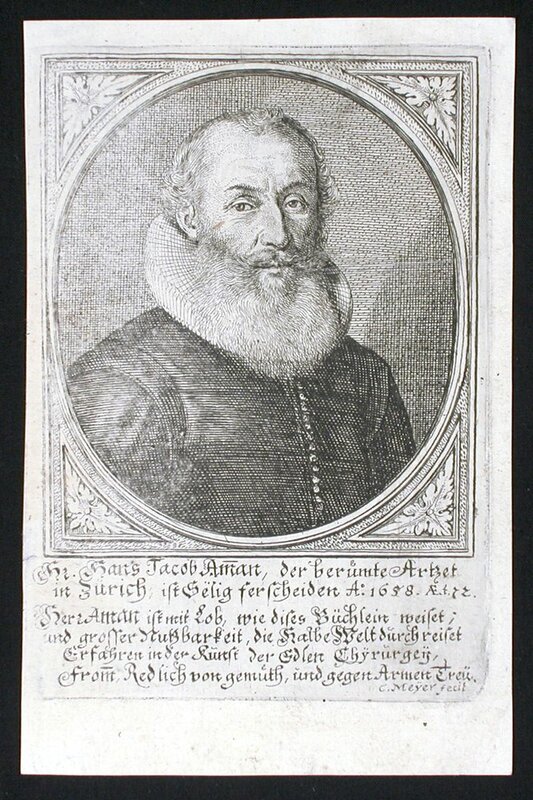 The origin of the Amish tradition and faith lies with a Swiss man called Jakob Ammann. He’s thought to be the founding father of the Amish. He was the one to preach of the Bible in all it’s literal sense. As mentioned before, the Amish adhere to the ten commandments and the puritan form of the biblical word. They take no shortcuts and are very stern with their laws and rigid in their change. The Amish may be considered a small community in comparison to the surrounding modern communities, especially with the inbreeding we discussed and the result of a large number of still births and other birth defects and therefore premature death, but they do still have over 300,000 members in North America alone. They usually all live very close together.Families live in homes they built themselves very close to the other members of their family and community. 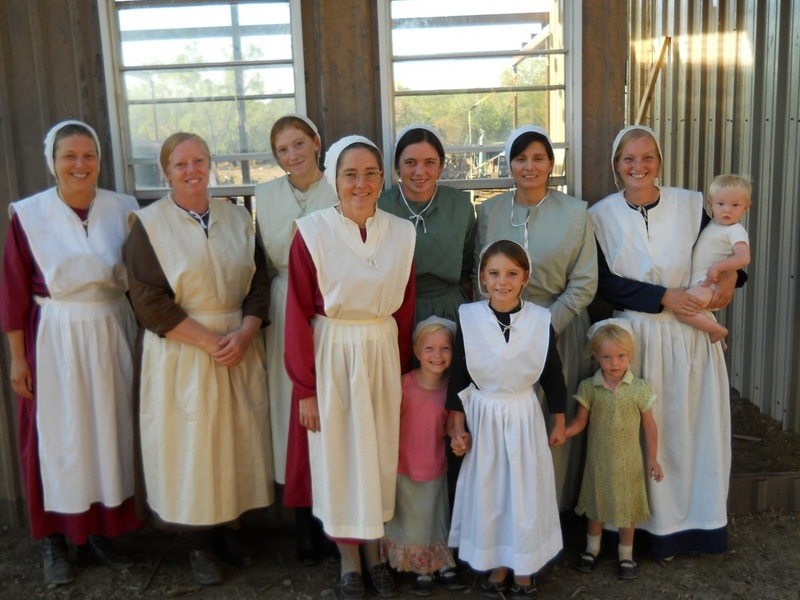 Women in the Amish community are not a part of the community decision making process, or basically anything besides raising the children and preparing the home. This is where the primitive ways of the Amish is seen in full force. 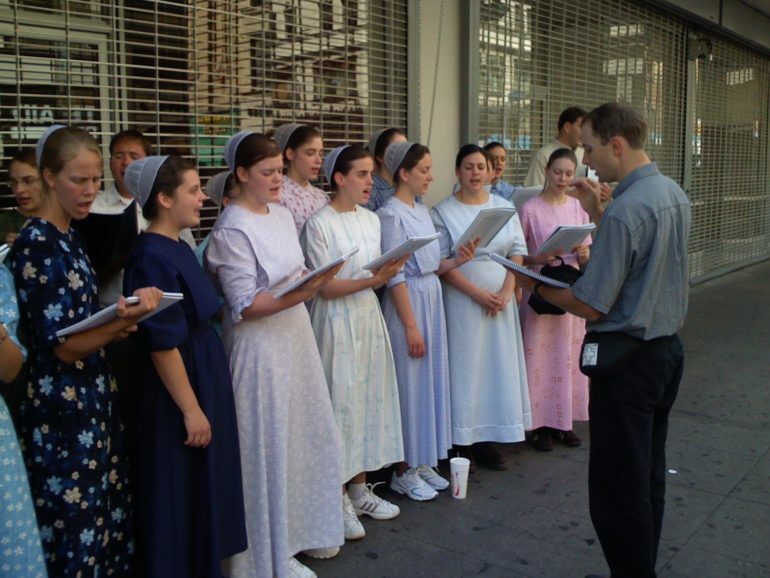 Where in the modern world women are gaining more and more rights and momentum, performing in all parts of community jobs, within the Amish community, men rule their small community and all of its roles. 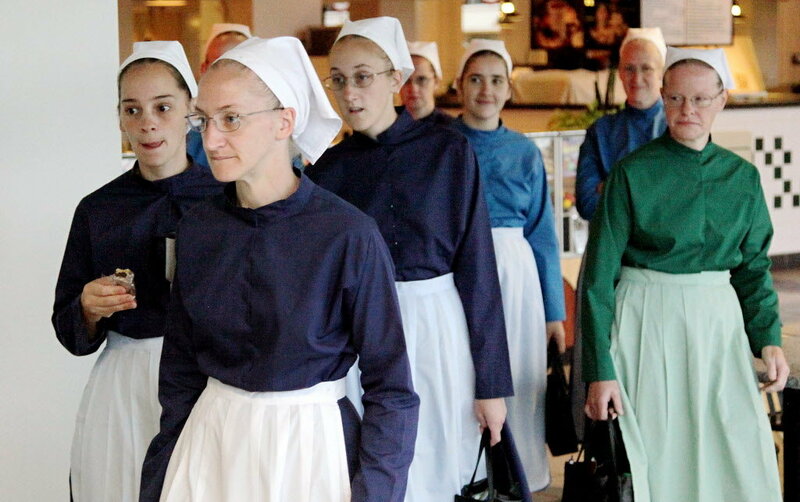 The Amish, being a conservative Christian sect themselves, do not believe in birth control of any form. As a result, the average Amish family has seven to nine children, while the more children the better, as procreation is a gift to God. This is similar to all other extremely religious sects of Christianity, Judaism and Islam. The waste of a possible child is considered a sin, and therefore birth control is a sin by association. Due to the negative reaction towards the notion of birth control, the Amish population is the fastest growing minority group in America. Their large families are giving legislators a real run for their money. Soon enough their numbers will grow to the point where new communities will need to be created and more land will be needed for them to continue their traditions and way of life. Interesting to see how this turn of events will happen in an America that is increasingly secular. The Amish love to build barns. They like it so much that they made it into a hobby of theirs. 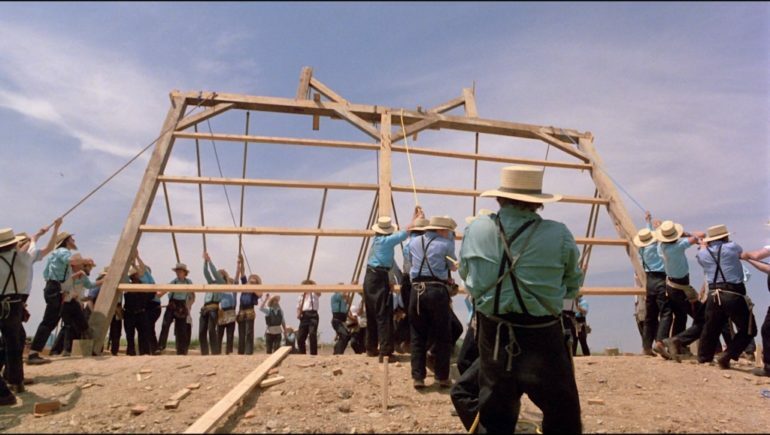 Whenever someone in the community would need a barn, and needless to say, every family needed a barn, so as to house their cattle, horses and the like, of course; all the guys would band together to make one for him. This is an example of how the community comes together for one another. How lovely! You have to give it to the Amish, they know how to raise some good children. Even from a young age, children are given plain doll toys to teach them to care for a persons values and personality, rather than their outer appearance. It seems as though the world outside of the Amish community has a thing or two to learn from them, considering today’s media and world is seemingly obsessed with all things physical. The Amish are not allowed to have pictures in their own homes due to them being “graven images”, they do however allow others to photograph them for documenting purposes. They also do not have mirrors in their home so as to make sure no sense of vanity is produced. If you recall, vanity, humility and modesty are a few of the most important things for the Amish people, and not abiding by those rules are considered transgressions. As much as the Amish are against modern technology, they are aware the health comes first. When someone is sick, and when it comes to children’s vaccinations, they turn to modern medicine. There is something to be said about a community that is entirely off the grid but is also aware of the outside world, so much so that it makes sure to utilize the modern medical advances to make sure their young are healthy and safe. 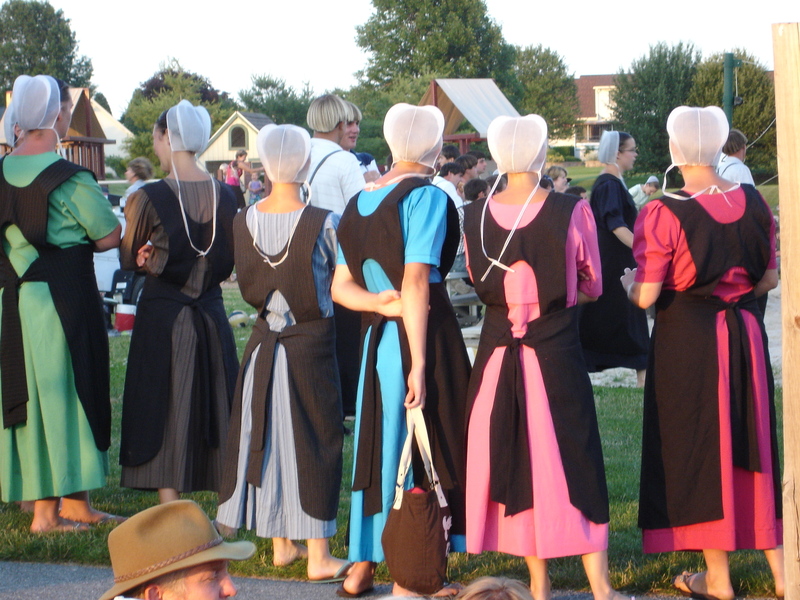 Inching forward slightly, there are certain Amish communities that allow the women to dress in brighter colors and use softer fabrics. This may seem like little or no difference for any modern person, but for the Amish community it is a huge advance. Bright colors are by nature attractive to the eye, making the concept of vanity and modesty go slightly awry. Not sure how long that trend is going to hang on for, we can’t imagine the Amish agreeing to anything that can put their way of life in jeopardy. Amish beds for married couples are built out of two single beds with a separation between them. For whatever reason, which we don’t understand because the couple is married and therefore touching should be allowed, this is to prevent the couple from cuddling. It is common in the secular world too, but usually for an elderly couple that has two seperate convertible beds! Guess there won’t be a fight over who grabs the blanket in the middle of the night. The Amish are known pacifists. They are so far removed from violence that they are against the national army. This is a departure from other religious sects considering they don’t usually have an issue for state matters. The closest thing they have that resembles a weapon would be the cleaving tools for harvest, wood chucking and the butchering knives; all of which are purposed for maintaining their food supply and warmth. Can I have yo numba? Who ever said that Amish people can’t get love? Hopefully no one, because marriage is obviously a big part of their culture. With that said, the ritual of the way they court each other is not exactly conventional. One stage in their courtship with each other is spending a night together in the same bed, but they must be fully clothed, and they must have a wooden divider between them as they sleep. Nifty, eh? 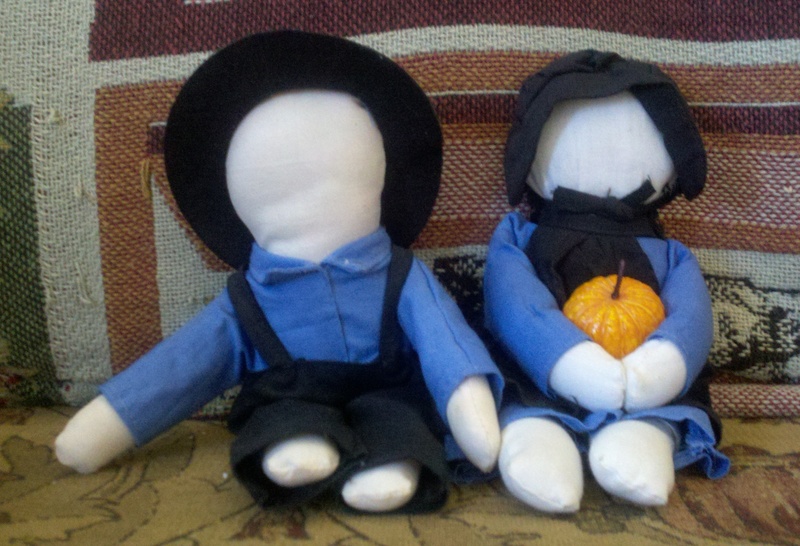 Here’s another fun fact you may have never heard about the Amish community – they’re all about having those babies. In fact, the average amount of children for an Amish family is a whopping six or seven children, which is crazy when you consider that most American families have it a lot closer to three. Just from the year 2000 to 2017 alone, the Amish population has reportedly grown from around 180,000 almost 320,000. 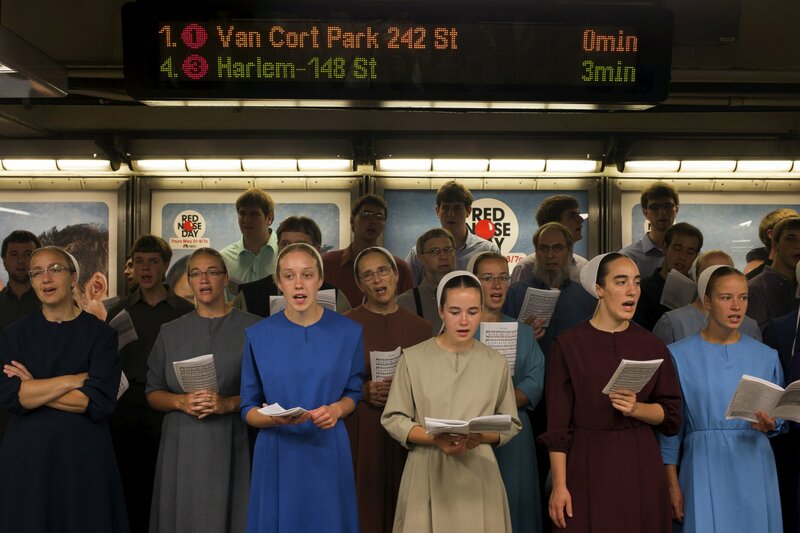 We’ve talked a lot in this article about the church life of the Amish people. We’ve discussed how they have a very modest approach, in the best way possible. Well, apparently this modesty extends to not just the religious things they do, but also where they do it. 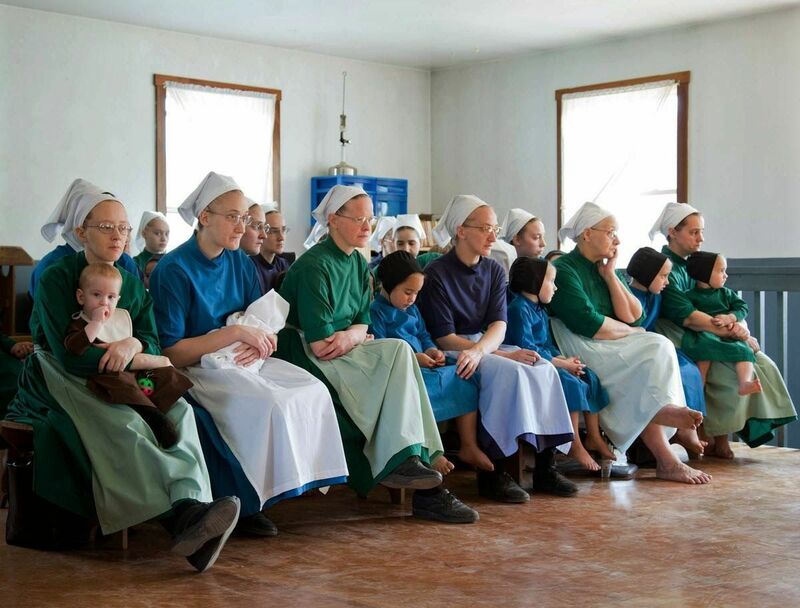 Unlike the case in many other religions, the Amish hold their religious services within the comforts of peoples’ homes, rather than choosing to do it in church. 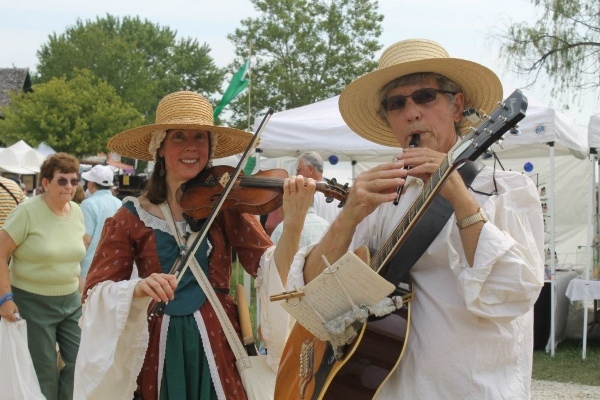 Here is a slightly unfortunate part of Amish culture, at least if you’re a big fan of music. Okay, let’s be real, of course a fan of music – who isn’t? With that being said, the Amish people are apparently only allowed to affiliate themselves with music if it’s from Ausbund, their Amish songbook. There are no notes in this book, only lyrics, and the melodic tunes are simply memorized and passed down to future generations by ear. Whether you’re Amish or not, we all need to get from point A to point B every now and then. This can be achieved pretty easily by walking if you’re not looking to go far, but sometimes you need a car – an aspect of technology that Amish folk don’t really partake in. Instead, they use a horse and buggy, which happens to be a cultural staple for Amish cultures, and always has been. Hey, if it works, it works. Just don’t expect to drive cross country with that thing.